In the 2014-15 season, there was plenty to discuss about the failings of the Sharks defense. In my case, I highlighted three players whose struggles on the blue line were noteworthy: Brent Burns, Brenden Dillon and Mirco Mueller. I suggested a plan for all three players. that Burns return to forward this year, that Dillon get traded and that Mueller, still only 20, be given the time he needs at the AHL level to develop his game. 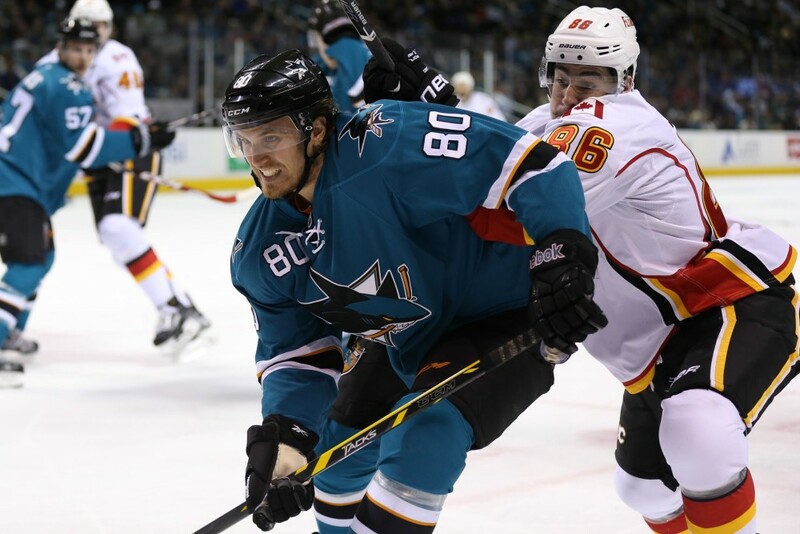 Mueller is in the AHL, but the Sharks solved the issues will Dillon and Burns differently. Dillon was re-signed and given and major raise. Burns remained on defense, but was provided a quality veteran partner with experience handling an offensively-minded but defensively-challenged partner. The issues for Burns and Dillon, though, were quite different. Burns was aggressive, and his tendency to be overly aggressive at the wrong moment often cost the team. Burns tremendous talent would also result in brilliant plays that helped the team. He was often on the highlights, both for better and worse. Dillon was different. He offered little in the way of offense, and was slow or caught flat-footed too often on defense. For me, two statistics stood out from last season. The plus-minus values and the penalty minutes. 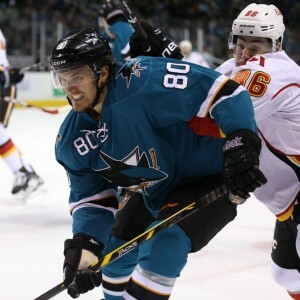 Dillon and Burns combined for over 40 minor penalties in their 142 combined games played for the Sharks last season. Both were near the top of the league in leaving a team short-handed. Combined, they were a minus-20. Six other Sharks defensemen played over 25 games last season. The aforementioned Mueller now playing in the AHL was minus-8, the other five defensemen were even or positive. Burns remains on the blue line, having acquired a new primary partner in Paul Martin. Martin’s job was to rescue Burns and through four games, it appeared to work. 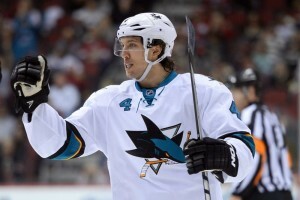 The Sharks had won all four games and the team had given up just two goals. Dillon meanwhile, was pushed back to the third defensive pairing, with Matt Tennyson who won the preseason battle to begin the year as Dillon’s partner. As the third pair, expectations were modest. Early on, the expectations were exceeded, as Tennyson and Dillon combined to go plus-5 over the first four games. For four games, life was good. Then came Game 5. And Game 6. Martin missed both those games and we all got to see what Dillon and Burns look like without their normal partners, Tennyson and Martin, respectively. Paired together, Burns and Dillon combined for a minus-7 in these two games. It is worth noting that the Burns-Dillon pairing was the most expensive defensive pairing in these games, taking nearly as much cap space as the other four skating blueliners combined. In total of 12 games played between Dillon and Burns, they have managed to amass seven (non-concurrent) minor penalties; an eighth penalty resulted in a penalty shot. The other Sharks defensemen have totaled five penalties in 24 combined games. At even strength, Dillon and Burns combine to be minus-2; the rest of the blue line is plus-10. Burns has shown a penchant for icing the puck. I have not kept track of the number of times that has happened, but it has happened enough so I’m noticing. Icing the puck under considerable pressure is one thing, but Burns seems to want to make the big play. On occasion, this aggression works. But there is a risk of giving up clear possession and instead having to go back to a face-off in your own defensive zone. That has happened a good bit early in the year. The Sharks need more from these two expensive players. Burns and Dillon are approaching 1,000 combined NHL games. DeMelo, a rookie, has two NHL games while Tennyson has 37. DeMelo and Tennyson should be expected to have their ups and downs, the more experienced veterans carry greater responsibility. It is too early to draw firm conclusions about the play of Burns and Dillon. No doubt there are reasonable counter arguments: small sample sizes, line-up changes, one bad game, injuries, etc. Still, the eyeballs tell a story that is a bit unsettling. Against the Rangers, I counted five different odd man rushes where either Burns or Dillon was on the ice but not back to defend. One odd-man rush resulted in a goal by Jesper Fast, others resulted in close calls, including a shot that beat goalie Martin Jones but hit the post an inch away from going in. In other words, it could have been worse. Perhaps the only thing that is conclusive at this point is the tremendous value of Paul Martin, which my colleagues Andrew Bensch and Kenneth Laws have pointed out here and here. In the games Martin has played, the Sharks have been very good. In the games he has missed, they haven’t. Certainly the coupling Martin injury with the Logan Couture injury (Couture being a good defensive player) is not helpful. Early trends are worth noticing, with an understanding that they may be more aberrations than trends. Early trends, though, take on a greater weight when they mimic the same strong trends seen in the prior season. • The same two defensemen are at the bottom of the team’s defensemen’s plus-minus ratings. • The same two defensemen are penalized much more often than any other defensemen. • The same two defensemen seem to be late getting back and giving up odd-man rushes. Yes, it is early in the year. It is not time to overreact. But the Sharks need to understand what they can expect from their blueliners. And what they need to fix.